Does your organization continue to struggle with digital security certificates, cloud, distributed computing and identity and access management (IAM)? Our experts from SearchSecurity.com are here to help. 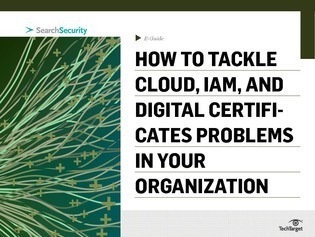 In this in-depth resource, you’ll find extensive amounts of information regarding options for mitigating digital security certificate problems, as well as a breakdown of the challenges posed by IAM in the extended enterprise. Read on to learn more.